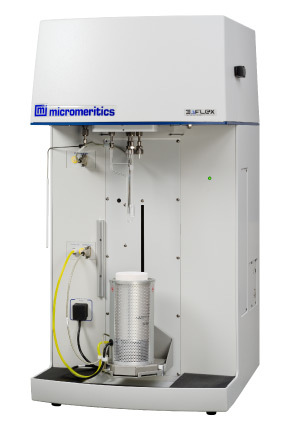 With the chemisorption option, the 3Flex is configured to perform chemical adsorption analyses that enable the researcher to obtain valuable information about the physical or chemical properties of catalysts, catalyst supports, and a variety of other materials. 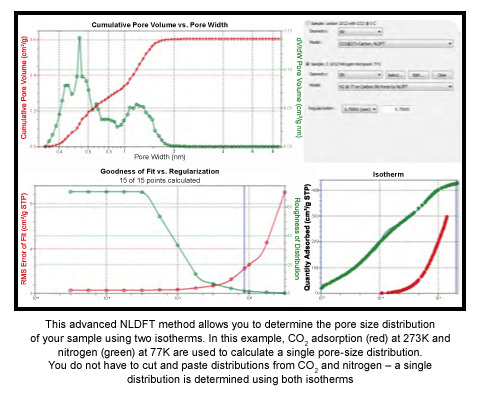 The NLDFT Advanced PSD, Dual OFT modeling allows the user to combine the information gathered from nitrogen and carbon dioxide isotherms to deliver a full pore size distribution on materials (such as carbon slit pores) where pores of molecular sizes are present. 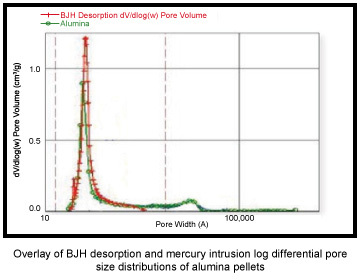 The range of pore size analysis in this method is extended to smaller pore sizes compared to the standard nitrogen analysis. This is due to the fact that CO2 can access some very small micropores that are not accessible to N2 at cryogenic temperatures because of diffusion limitations. 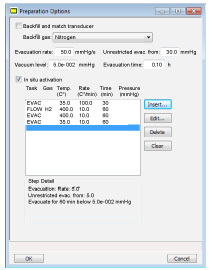 MicroActive for the 3Flex software also includes a powerful utility that allows you to overlay a mercury porosimetry pore size distribution with a pore size distribution calculated from gas adsorption isotherms. This new import function allows you to rapidly view micropore. A twelve-inlet gas manifold and vapor dosing are standard with the chemisorption capability. 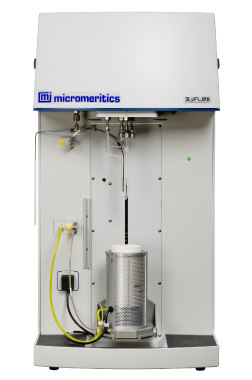 Flow control during sample activation utilizes a mass flow controller (MFC) for precise and repeatable sample preparation. The MFC is included in the standard chemisorption hardware.